The Nigerian biggest online transaction processor (Quickteller) recently introduced a short-term loan designed to grant Nigerians a quick cash to meet their immediate needs without the stress of paperwork or any collateral required. Getting a loan from Quickteller doesn't require any paperwork or collateral but can be done using your internet enable and non-internet enabled mobile phones, tablets, and laptops. Wish to know more, not yet i have some great related content you might love to read below. Okay, back to business I will now share full details on how to be part of the new Quickteller short-term loan offer when you ran out of options and needs some cash to take care of some problems. We are in Nigeria and you know how things work so for you to qualify to get a loan from Quickteller without any paperwork and collateral they reserve the right to access your bank for your profile details and as well your transaction history to ascertain your financial capabilities. Quickteller made it easier for everyone to be able to request for a loan even when you don't have an internet enabled smartphone or computer by creating a dedicated shortcode (USSD) that doesn't require you to have internet or airtime on your phone to be able to request for a loan. 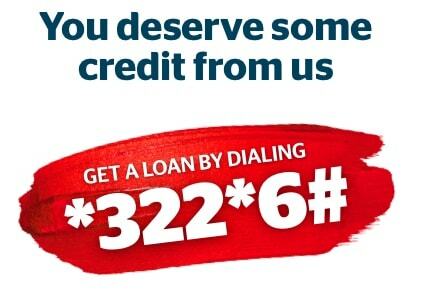 To get started simply dial *322*6# and follow the prompt and there are 2 options " request loan & borrow airtime". 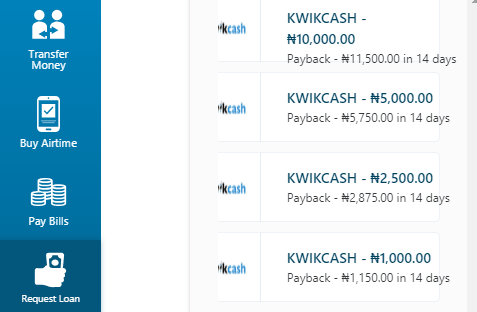 I find online load request convenient because the shortcode is not stable when I tried it but if you have good smartphone or Laptop with active data connection then simply visit https://next.quickteller.com/loan-request and you will see request loan option by the left-hand side. Click on request loan option and you will be prompted to log in or register for a new account if you are not a registered user of Quickteller. Note any amount you wish to borrow from Quickteller must be returned within 2weeks (14 days) with 15% interest rate. They charged 15% interest for any amount you borrow from them so take not of that before requesting for a loan and be sure to pay back within 14 days.